Thomas Williams is a historian, writer and former curator of early medieval coins at the British Museum. He worked as project curator for the major international exhibition Vikings: Life and Legend, which was the subject of extensive media coverage in 2014. Thomas completed doctoral research at University College London which examined the relationship between landscape and warfare in early medieval Britain and has spoken and published on this subject in various academic fora. He has also taught and lectured in medieval and Viking Age history and archaeology at UCL and the University of Cambridge. He is the author of The Tale of King Harald: The Last Viking Adventure, a book for children retelling the saga of King Harald ‘Hard-ruler’, and numerous academic and feature articles, papers and collected editions. 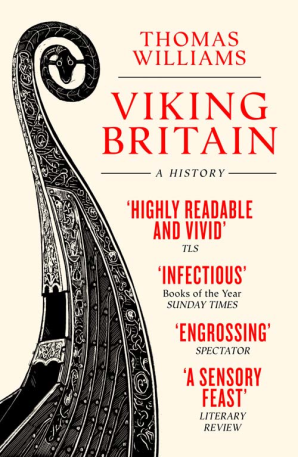 His first major book, Viking Britain: An Exploration, is published by William Collins.